Riton’s Mod 3 RMD (RITON MICRO DOT) is our most versatile red dot optic, whether mounting it to an AR, AK, a shotgun, a pistol or any other weapon system you can think of you will not be disappointed by the performance of the RMD. 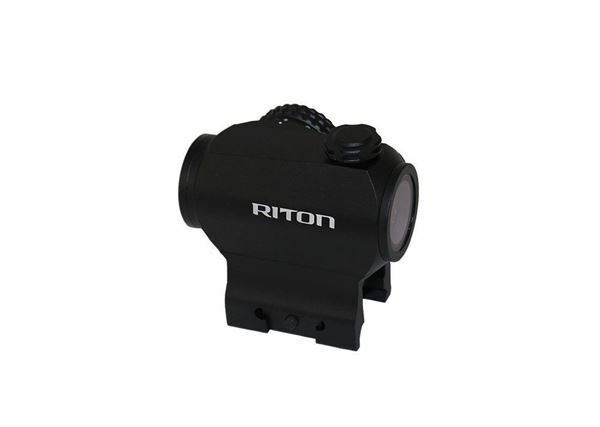 Riton’s Mod 3 RMD (RITON MICRO DOT) is our most versatile red dot optic, whether mounting it to an AR, AK, a shotgun, a pistol or any other weapon system you can think of you will not be disappointed by the performance of the RMD. Featuring the Riton 2 MOA ultra precise red dot, made using a one piece aircraft grade aluminum tube with 1 MOA adjustment and capped turrets. It also comes with a three interchangeable mounts to find the perfect mounting height no matter the platform. It is nitrogen purged and sealed to be waterproof, fogproof and shockproof up to 1200G’s, and all the lenses are Full-Multi Coated.